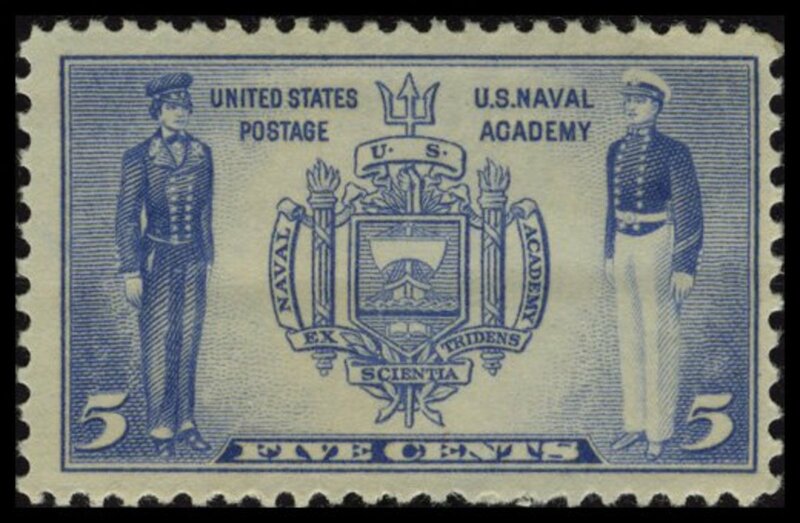 The United States Post Office honored the Navy and the Army with a series of ten commemorative postage stamps issued between December 1936 and May 1937. 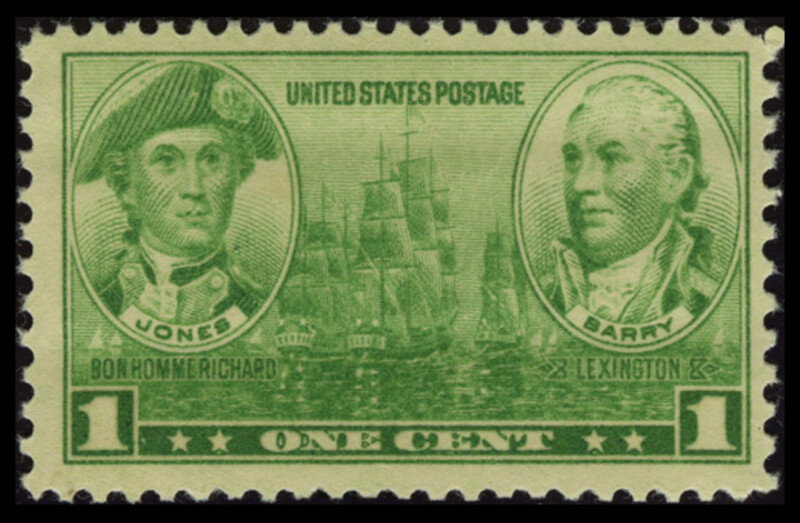 The Navy stamps feature naval heroes and leaders from the Revolutionary War, the War of 1812, the Civil War, and the Spanish-American War, as well as the U.S. Naval Academy at Annapolis, Maryland. The five Army stamps honor a similar group of heroes from the Army. Through their tributes to these military heroes, these ten stamps provide windows into some highlights of American history. 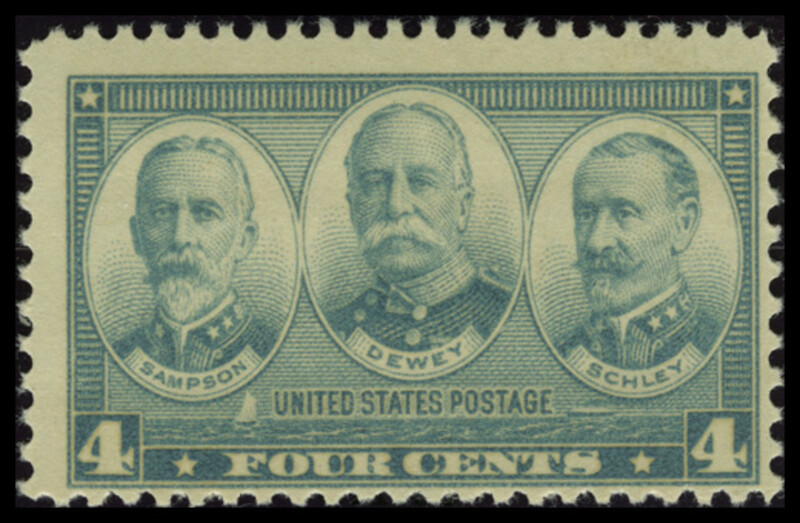 The gray 4¢ Navy stamp features portraits of the three U.S. Navy flag officers who had combat commands in the Spanish-American War: Rear Admiral William T. Sampson, Admiral of the Navy George Dewey, and Rear Admiral Winfield Scott Schley. This grouping is especially interesting because Sampson and Schley became involved in a controversy over their roles in the battle for which they are most famous, and Dewey was a member of the Navy's court of inquiry that ruled on the matter. 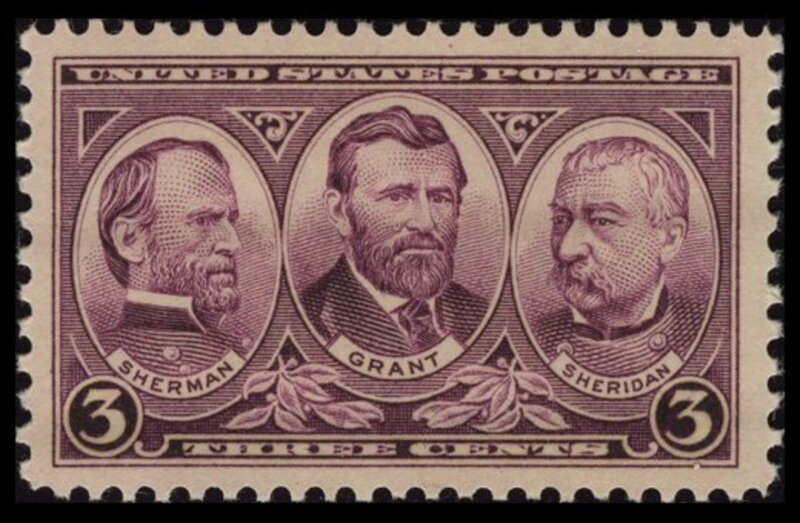 The corresponding four-cent gray Army stamp, which features Confederate Army Generals Robert E. Lee and Thomas "Stonewall" Jackson, as well as Lee's ancestral home, Stratford Hall, was issued on the same date as the four-cent Navy stamp. Date and Place Issued: March 23, 1937, in Washington, D.C.
Celebrated for his role in the Battle of Santiago de Cuba in the Spanish-American War, William Thomas Sampson had a successful Navy career from the outset, graduating first in his class at the Naval Academy in 1861. He served as an instructor at the Academy after graduation, and then saw active duty during the Civil War as an officer aboard the monitor Patapsco in the South Atlantic Blockading Squadron. Following the war, he again taught at the Naval Academy and held several other important positions, including posts at the Navy's Bureau of Navigation and the Naval Observatory, and as Officer in Charge of the Naval Torpedo Station in Newport, Rhode Island. In 1886 Sampson was appointed Superintendant of the Naval Academy, a post that he held until 1890. In 1889 he was promoted to Captain, and in 1897 he took command of the battleship Iowa. After the USS Maine exploded in Havana Harbor in February 1898, Sampson was named President of the Board of Inquiry in charge of the investigation. A month later, he was given the temporary rank of Rear Admiral and placed in charge of the North Atlantic Squadron. 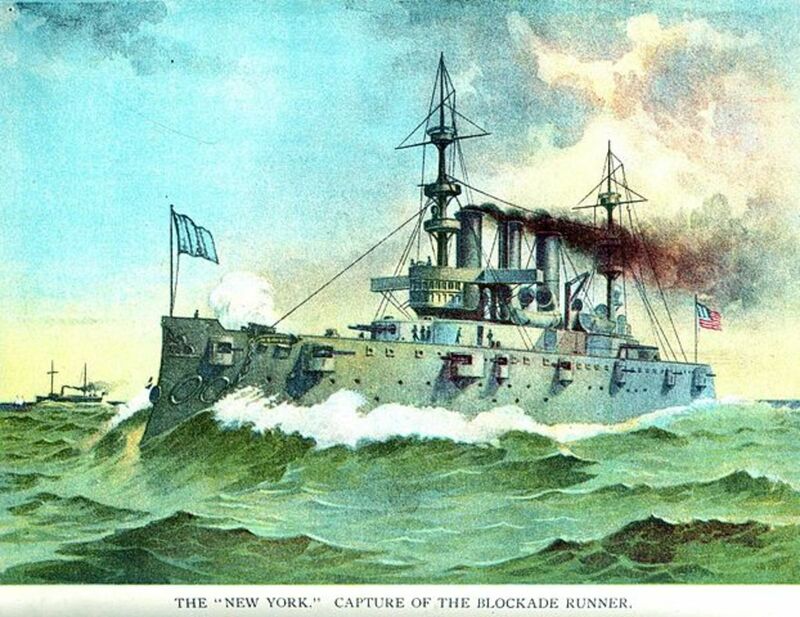 After the United States declared war on Spain in April 1898, Sampson sailed for Cuba on the flagship USS New York. He supervised the beginning of the Cuban blockade, then undertook a bombardment of San Juan, Puerto Rico, that culminated in the capture of the city in a joint Army-Navy operation. Sampson returned to Cuba, where he planned strategy for engaging the Spanish fleet under Admiral Pascual Cervera y Topete at Santiago. However, on July 3, the battle with Cervera began while Sampson was ashore in a planning conference. The American naval forces, under the command of Rear Admiral Winfield Scott Schley in Sampson's absence, completely destroyed the Spanish fleet. Although Sampson did not actively participate in the fighting, he sent a famous message offering Cervera's ships to the nation as a Fourth of July present from the fleet "under my command." The controversy between Sampson and Schley and their respective supporters over the division of credit for the Battle of Santiago de Cuba led Schley to request a court of inquiry. After the war, Sampson was named Commandant of the Boston Navy Yard. He retired from the Navy in 1902 and died later the same year. After Winfield Scott Schley's graduation from the U.S. Naval Academy in 1860, he served as a midshipman on an expedition to China and Japan. During the Civil War, he served first in the Western Gulf Squadron, where he participated in the capture of Port Hudson, Louisiana, in 1863, and later in the Pacific Squadron. He was promoted to lieutenant in 1862 and lieutenant commander in 1866. Schley taught at the Naval Academy from 1866 to 1869 and again from 1872 to 1875. Between the two stints at the academy, he served in the Asiatic Station and participated in the U.S. Korean Expedition in 1871. He was promoted to commander in 1874 and served in various capacities in Europe, on the coast of Africa, and in the South Atlantic. Among his commands were USS Essex, USS Baltimore, and USS New York. Schley was also assigned to several posts in the Lighthouse Bureau and served as chairman of the Lighthouse Board in 1897-1898. In 1884, Schley commanded a relief operaton to rescue Lieutenant Adolphus Greely's trapped Lady Franklin Bay Expedition in the Arctic after several others had failed. Traveling through 1400 miles of ice, Schley and his crew succeeded in rescuing Greely and six of his companions. Schley co-wrote a book about the rescue in 1885. Schley was commissioned as a commodore in 1898. At the outbreak of the Spanish-American War, he was placed in charge of the Flying Squadron, commanding the flagship USS Brooklyn. Admiral Sampson, his superior officer as head of the North Atlantic Squadron, sent him in pursuit of Spanish Admiral Cervera, first to Cienfuegos and then to Santiago de Cuba. Schley at first declined to go to Santiago but ultimately found his way there and assisted Sampson with a blockade of the harbor to trap the Spanish fleet. On July 3, the Spanish ships attempted to evade the blockade while Sampson was ashore. After a near collision between the Brooklyn and another U.S. ship gave the Spanish fleet an opportunity to escape, Schley's squadron pursued and defeated Admiral Cervera and destroyed the Spanish ships. Sampson's victory message made no mention of Schley's role, and in fact Sampson believed that Schley had been insubordinate and careless. The public, however, viewed Schley as the hero of the Battle of Santiago de Cuba. In 1899 Schley was commissioned as a Rear Admiral and given command of the South Atlantic Squadron. He retired from active duty in 1901. 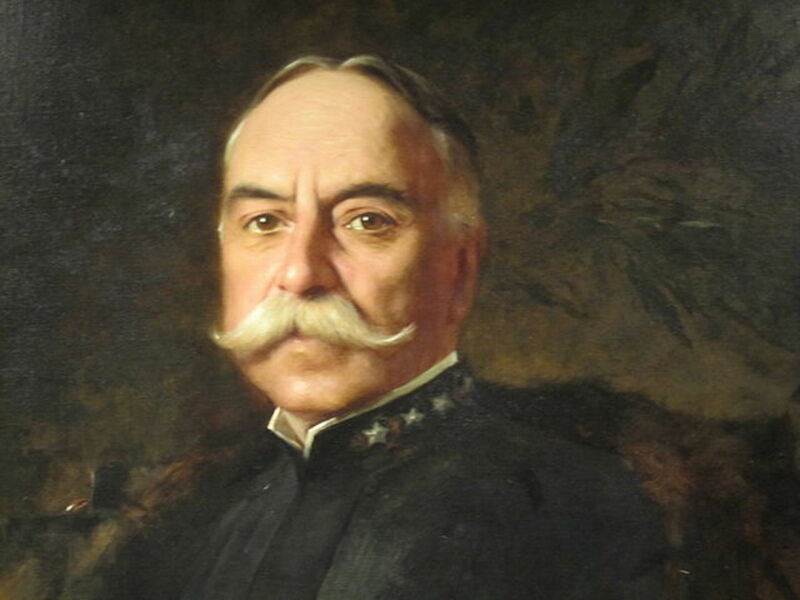 Also in 1901, at Schley's request the Navy convened a court of inquiry, comprised of Admiral George Dewey and two other admirals, to investigate charges made against Schley for his conduct before and during the Battle of Santiago. The majority found that Schley had engaged in misconduct and shown poor judgment, but recommended that no action be taken. 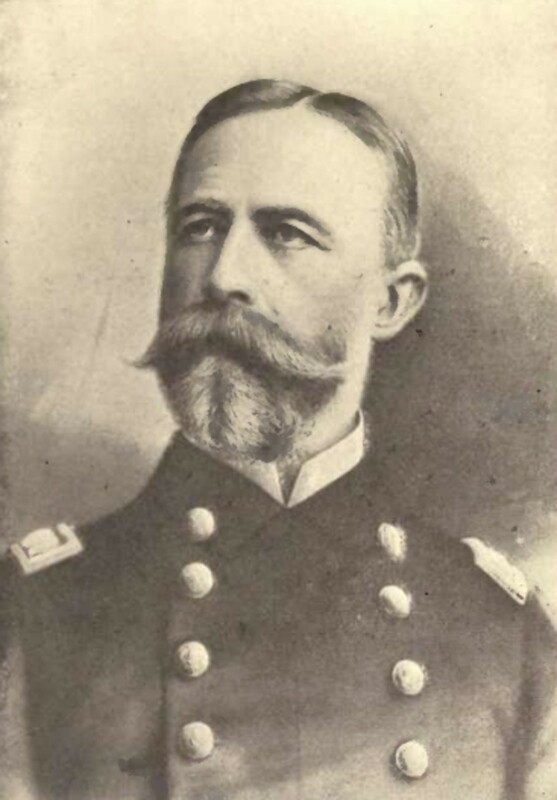 Admiral Dewey, however, issued a minority report praising Schley and giving him credit for the victory. Although the findings of the majority went against Schley and were ultimately upheld by the Secretary of the Navy and by President Theodore Roosevelt, the publicity of the court of inquiry enhanced Schley's status as a war hero. 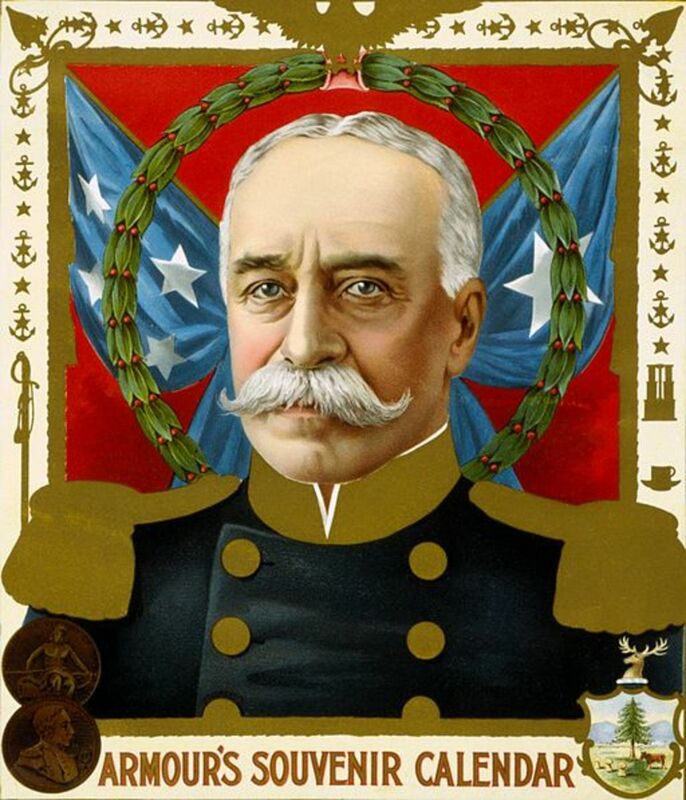 George Dewey is the only person to have attained the rank of Admiral of the Navy, the highest rank in the United States Navy. Dewey attended the Norwich Military School in Vermont, followed by the United States Naval Academy, from which he graduated in 1858. After graduation, he served as a midshipman on the USS Wabash in the Mediterranean. During the Civil War, Dewey was assigned to the West Gulf Blockading Squadron under Commander David Dixon Porter. As executive lieutenant on the Mississippi, Dewey played a significant role in the Battle of Forts Jackson and St. Philip, the capture of New Orleans, and the Battle of Port Hudson, Louisiana. In 1864 Dewey was reassigned as executive officer of the man-of-war Colorado in the North Atlantic Blockading Squadron. He was recognized for his tactical ability in the assault on Fort Fisher in January 1865, the last significant naval engagement of the war. Soon thereafter he was promoted to lieutenant-commander. Dewey remained on active duty after the war. His assignments over the next thirty years were varied, including a second tour of duty as executive officer of the Colorado, two years as an instructor at the Naval Academy, and four years as commander of the Narragansett working on the Pacific Coast Survey. From 1880 to 1882 he was in Washington D.C. serving as a lighthouse inspector and secretary of the Lighthouse Board. In 1884 he was promoted to captain and given command first of the USS Dolphin and then of the Pensacola. In the mid-1890s he spent additional years in Washington with the Lighthouse Board and the Board of Inspection and Survey. In 1896 Dewey was commissioned as a commodore. In 1897, having requested a return to sea duty, he was placed in command of the Asiatic Squadron. Anticipating imminent war with Spain, Dewey gathered the ships of the squadron at Hong Kong and replenished their fuel, ammunition, and other supplies. 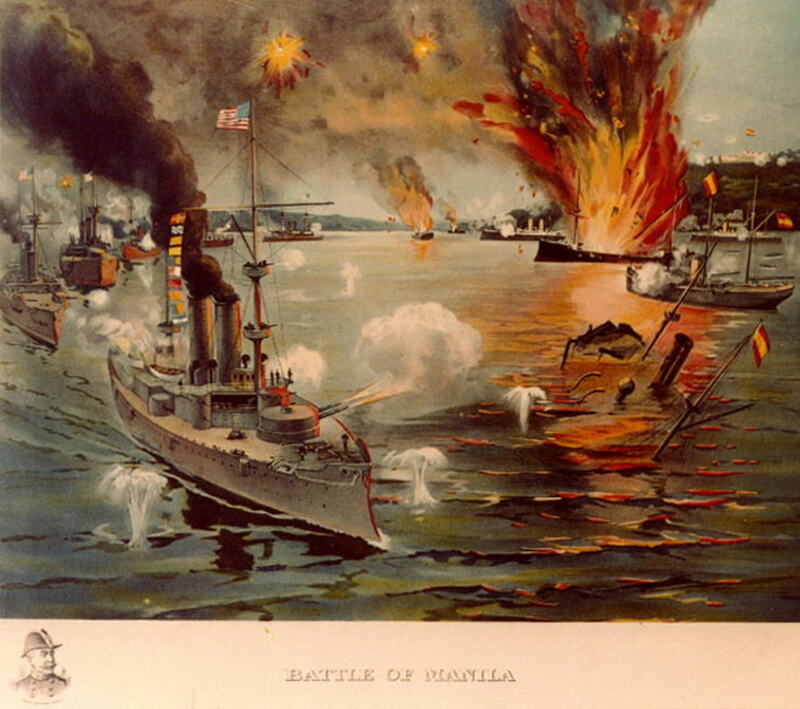 When war was declared in April, Dewey received orders to proceed to the Philippines and attack the Spanish fleet at Manila Bay. At dawn on May 1, Dewey gave the famous order to attack — "You may fire when you are ready, Gridley" — to Charles Vernon Gridley, captain of Dewey's flagship USS Olympia. Within six hours, Dewey had captured or sunk the entire Spanish fleet commanded by Admiral Patricio Montojo y Pasarón and overcome the Spanish shore defenses. Dewey's swift and decisive victory led to worldwide recognition of the United States as a naval power. He was welcomed home as a hero. Dewey agreed to run for President in the 1900 election but dropped out of the race after about six weeks and endorsed William McKinley. 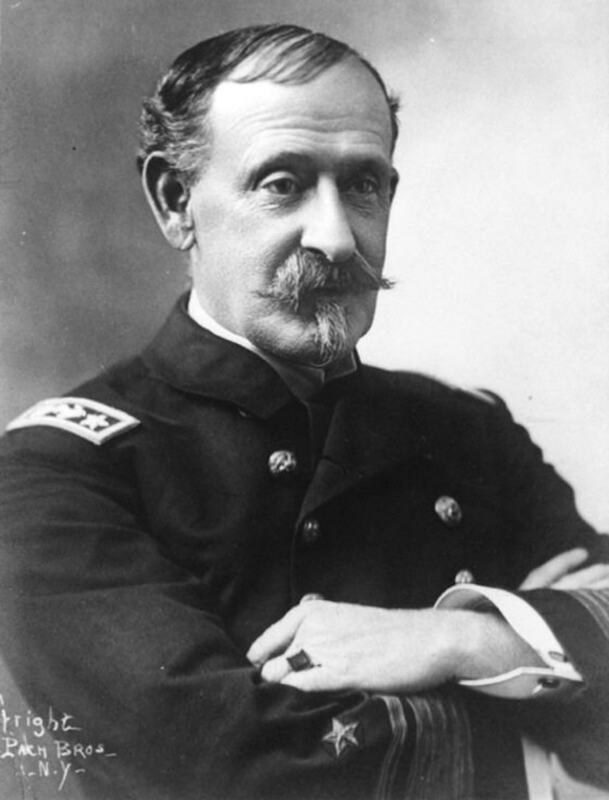 From 1900 to his death in 1917 he served as president of the policy-making General Board of the Navy Department. In 1903 Dewey was promoted by act of Congress to the rank of Admiral of the Navy, retroactive to 1899 — the only person ever to hold the rank. 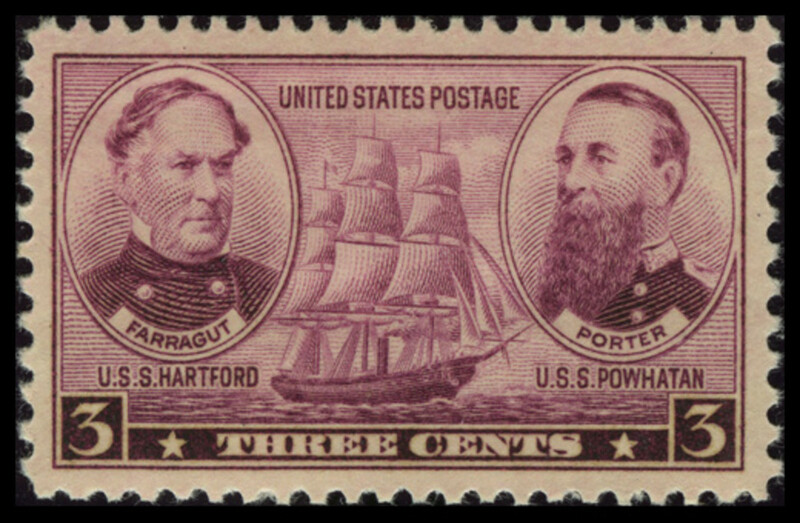 So now you know some of the history behind this four-cent Navy commemorative stamp from 1937. There is so much more history to be learned from stamps. 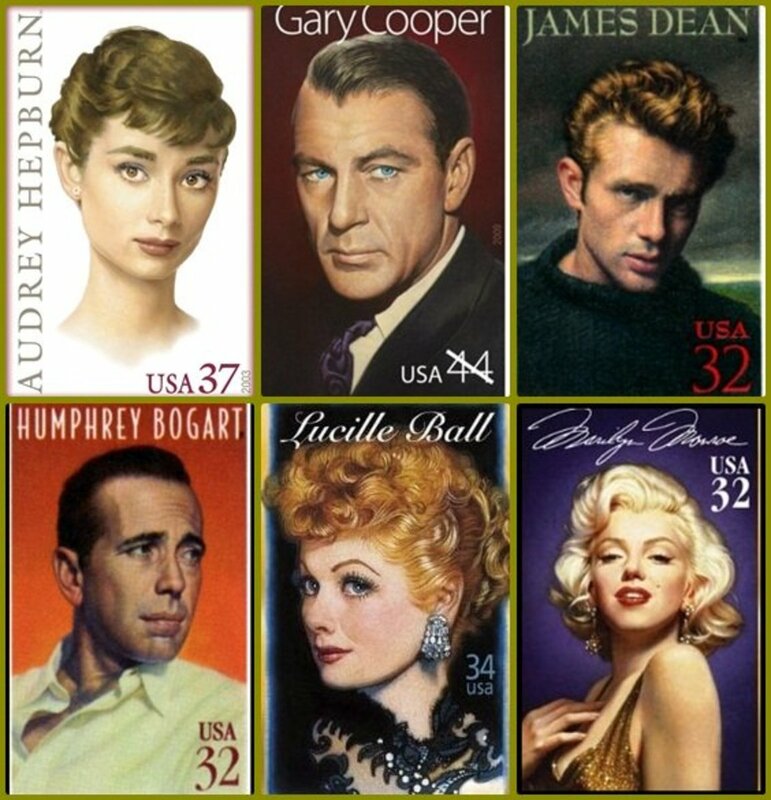 The United States Postal Service (formerly the Post Office) has issued hundreds of commemoratives. Likewise, countries the world over have issued fascinating commemorative stamps that showcase their unique histories. Most of these commemoratives are accessible and affordable, even for beginning collectors. Give stamp collecting a try — you'll have fun and learn some history in the process. Are the Navy stamps worth anything? 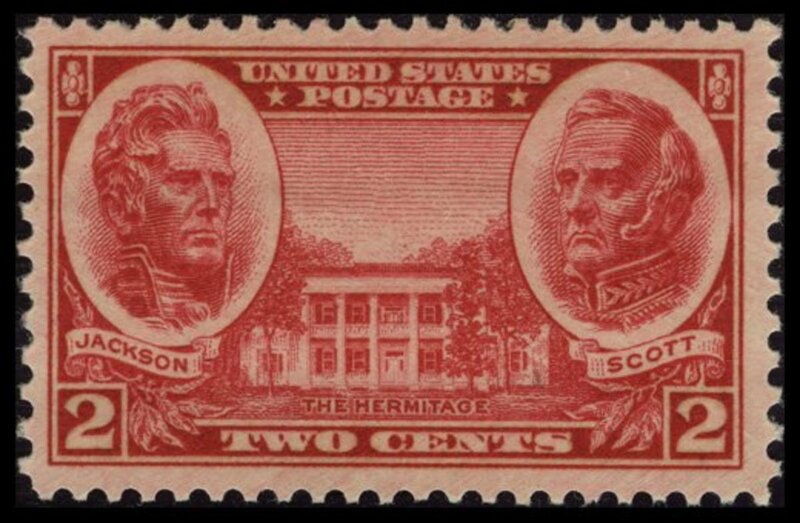 Stamp values are dependent on how rare they are and on their condition. According to Hobbizine.com, Navy stamps are worth between 20 and 30 cents used, and between 35 and 95 cents new.